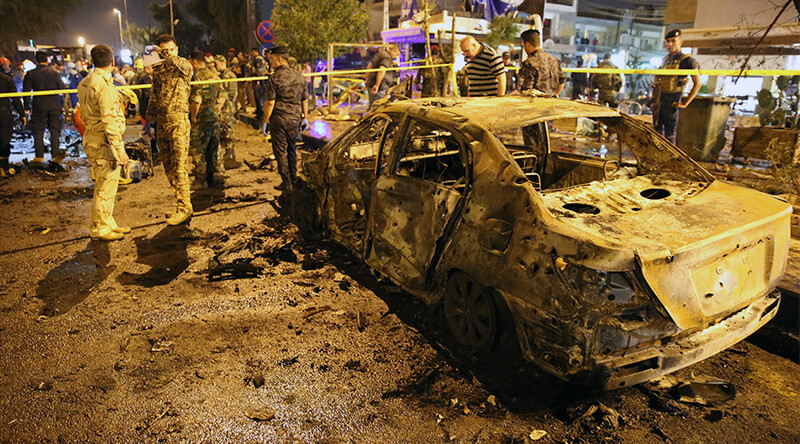 At least 31 people have been killed and dozens injured in twin car bomb attacks in the Iraqi capital, Baghdad. The first explosion, which ripped through an ice cream shop, has been claimed by Islamic State (IS, formerly ISIS/ISIL). The first attack killed at least 17 people and wounded 32 others in Baghdad's commercial Karrada district, according to police and health officials cited by AP. Iraqi officials said the powerful explosion originated from a vehicle rigged with IEDs that was parked near the ice cream shop. The assailants reportedly triggered the bomb remotely. The blast hit the shop shortly after midnight, at the time many Muslims break the fast they observe during the holy month of Ramadan in daylight hours. Footage captured by a CCTV camera and uploaded online revealed the terrifying moment the bomb went off. It shows a huge blast lighting up the night sky and then starting a fire in the street. — Hayder al-Khoei (@Hayder_alKhoei) 29 мая 2017 г. The brutal attack was claimed by Islamic State. The terrorist group reportedly justified targeting the shop filled with civilians by labeling it a Shia gathering place. Karrada is an upscale neighborhood boasting a large Shia population and also one of the two major Christian districts in the Iraqi capital. ISIS claims responsibility for the blast that hit Al Faqma Ice Cream shop in Baghdad, calls the shop "a gathering of Shi'a infidels". — Rogue Observer (@Observer46664) 29 мая 2017 г. A few hours later, a second bombing killed 14 people and wounded 37 others near a government office in Karkh district. There was no immediate claim of responsibility for that attack. AFP reported that over 100 people were injured in the two attacks. The Karrada attack is not the first time the district has been targeted by terrorist attacks during Ramadan. — ABC News (@ABC) 29 мая 2017 г. A series of large-scale terror attacks hit the district last year. On July 2, 2016, a large truck driven by a suicide bomber rocked the district’s shopping area just after midnight, when entire families were breaking their fast in malls and cafes bustling with people. Over 300 people died in that attack, which led to many others being trapped in the malls. Meanwhile, the attacks came as Iraqi forces backed by the US-led coalition have been pushing to liberate the terrorist enclave, which consists of Mosul’s Old City center and three districts bordering the western bank of the Tigris. “The joint forces have begun liberating the remaining districts,” the Iraqi military said on Saturday, announcing the start of the operation, whose main goal is to recapture of the famous al-Nuri mosque, where IS kingpin Abu Bakr al-Baghdadi proclaimed his “caliphate” in 2014. The offensive to recapture Mosul, once IS' stronghold in Iraq and its second most populous city, has been dragging on for eight months as civilian casualties mount. The bulk have resulted from US-led airstrikes on IS positions in Mosul. Last week, a coalition investigation found that over 100 civilians were killed in a March 17 airstrike that had targeted two IS snipers in Mosul’s Al Jadidah district. 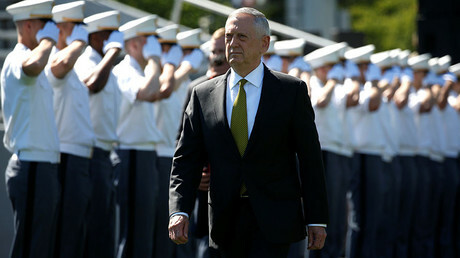 “Civilian casualties are a fact of life in this sort of situation,” US Defense Secretary James Mattis said on Sunday, as he pledged to use “annihilation tactics” against the militants in Syria and Iraq.